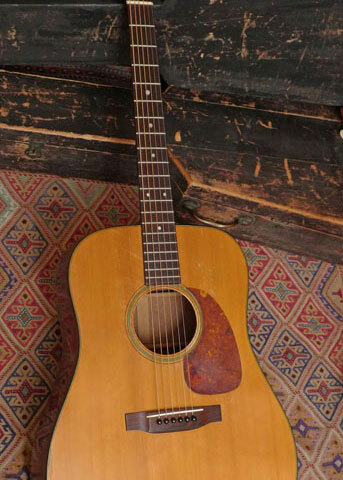 This model is something of a sleeper on the Golden Era Martin guitar market, because there are just not that many pre-1939 00-17s available. 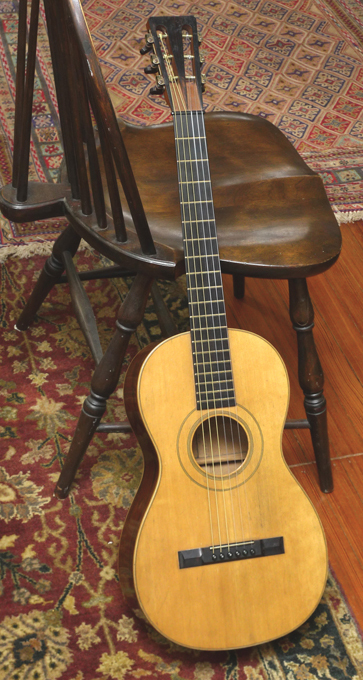 There are quite a few war-time and post-war 00-17s, but a 00-17 with full pre-war specs, forward shifted X-bracing, and 1 3/4 inch nut, is hard to come by–and they have all the great qualities of 00-sized Golden Era Martins that cost twice or three times the price on the vintage market–for now, as these great pre-war 00-17s will catch up quickly. 1-3/4 inch nut width. Crack-free except for a well-repaired crack on bass side, about 2 inches long, that’s difficult to see even up close. No cracks at all on top, or back. All original finish. Original bridge plate. 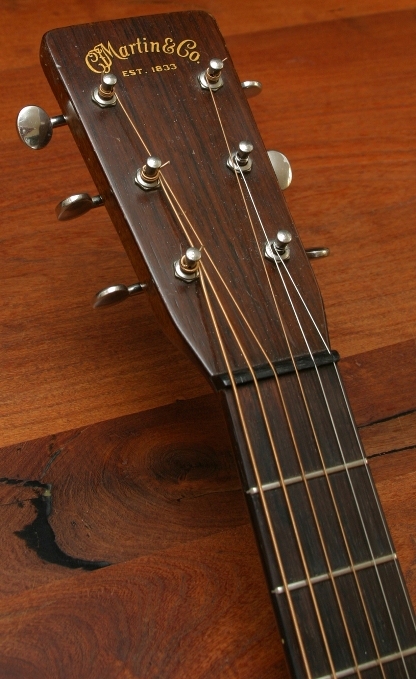 This model has of course a mahogany top as well as mahogany back and sides. 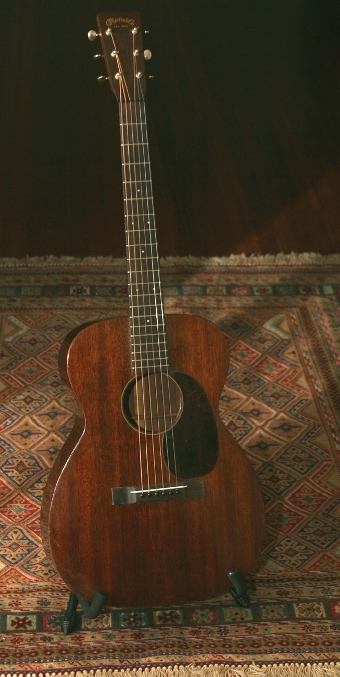 And with that dark look and original gloss finish that really sets this Golden Age Martin apart in its own class. 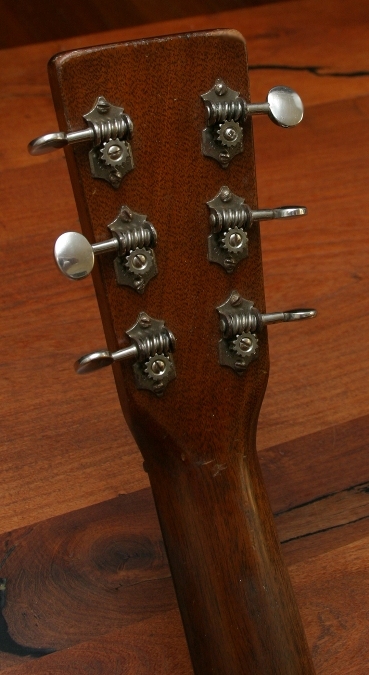 Neck has the typically slightly beefier profile that’s the hallmark of the best 30’s 14-fret Martins. Neck was set by us. 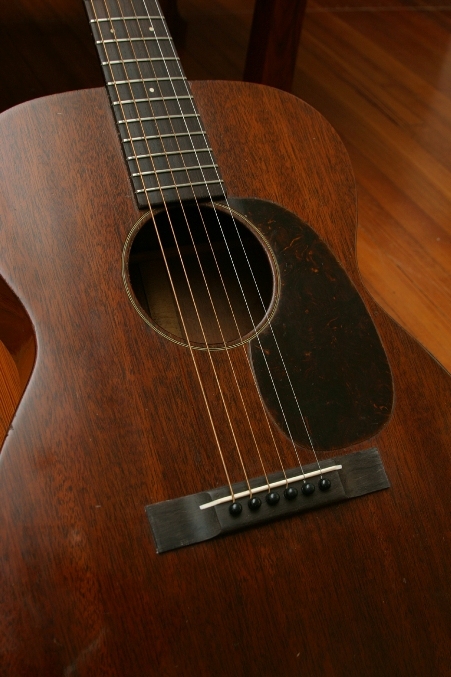 Replaced, period-correct Brazilian rosewood bridge. Original ebony nut. All new T-frets installed by us. Original tuners. Please get in touch to set up an appointment to experience one of our instruments first-hand in Austin, TX. We look forward to your call or email. 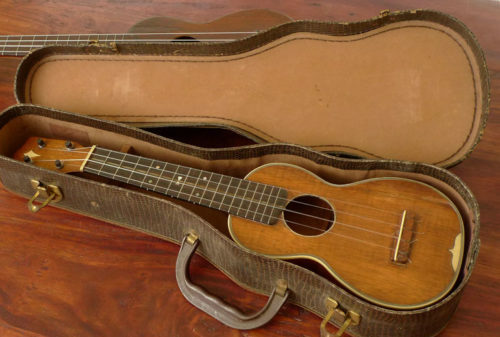 1920’s and Earlier Martin Guitars – Is it Safe to Use Steel Strings?